The sad truth is that morning sickness with twins is a problem that most have to deal with. 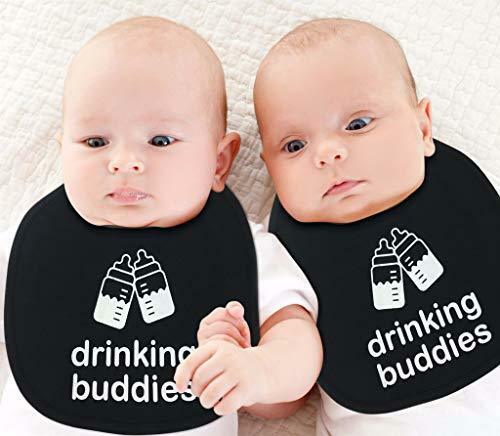 As an expectant mother of twins, your friends and family might be filling your head with horror stories of how bad it can be, and how much worse it’s going to be because you’re having twins. So you’re starting to wonder. What is morning sickness? Is it any different with twins? And how can you deal with it? Just in case you’re unsure, morning sickness is the specific term we use for the nausea and vomiting that affects the vast majority of women in the first few months of pregnancy. It’s incredibly likely that you’ll experience this, as well, with over three quarters of women experiencing nausea, and around half actually fully vomiting. Even though it’s called morning sickness, don’t be misled. It doesn’t have to come in the morning. It is more likely, hence the name morning sickness, but it can hit you at literally any time. For most women in singleton pregnancies, these symptoms generally start to abate at around the third month, but for a few unlucky women it can continue until week twenty, or even later. The strange thing is though, no one knows what causes it. It’s thought that the hormonal changes that come with pregnancy affect the balance of your body, and throw everything out of sync. As your body gets used to the changes and the increased hormonal load, it can deal with the effects and morning sickness fades away. Remember this, because it’s going to be important later. How Is Morning Sickness Worse with Twins? When you have twins, there’s more strain and stress placed on your body than with a single baby, so it’s normal to experience stronger pregnancy symptoms, and this does include morning sickness! More than this, it’s likely that, if you do experience morning sickness, it’s going to be more powerful and debilitating than a woman carrying just a single child. Morning sickness can also be made worse by tiredness, and part of the stresses of carrying twins that you’re going to feel is increased tiredness and fatigue. Bear in mind that you might not even experience symptoms, so don’t worry. If it happens, it happens. Just wait and see. All women experience pregnancy differently, so if it happens to you, then just do what you can to deal with the problem. When Does Morning Sickness Stop with Twins? Because of the higher levels of hormones in your body, it can take longer to adjust, meaning that not only are your morning sickness symptoms likely to be stronger, they’re also probably going to last longer. Again, everyone is different, but it’s not unheard of for it to last until the twentieth week, or possibly even longer! What Can You Do to Treat Morning Sickness with Twins? As the proud mother of twins to be, you’d probably deal with anything to make sure that your children are going to be born happy, healthy and safe. But that doesn’t mean you can’t be as comfortable as possible. There’s no one treatment that will work for all women when it comes to treating morning sickness. However, there are several things you can do that normally help. As always, if you’re struggling, suffering, or just finding it hard and need help, talk to a medical professional. They can see your specific situation and give you advice that will work for you. Like we said earlier, tiredness makes nausea worse. Get as much rest as you can, and try not to overstress yourself. The sickness can be worse first thing in the morning. If this happens, get up as slowly as possible. It can also help to eat something dry like a cracker or biscuit. If possible, change your diet to foods that are high in carbs and low in fat like toast, crackers, crispbread, etc. Avoid sugary or spicy foods, because these can make symptoms worse. Eat smaller meals, more frequently. Try not to overload your stomach, but don’t get hungry either. Make sure you’re hydrated. Drink often, but in small amounts. Just like food, you don’t want to overload your stomach, and if the worst does happen, then it’s best not to have anything to pass up. Avoid things that make you feel ill. Smells especially can be a trigger for a lot of women. If you’re struggling with smells, it can also help to eat cold meals if possible, because there’s a lot less smell involved. Keep your mind off of the sickness. Distract yourself however you can. Ask your loved ones for extra support. Your partner and family will most probably jump at the chance to help you with everything they can. Keep as comfortable as possible, including wearing loose clothes that aren’t tight around your waist. Morning sickness is just one of those things we have to deal with as mothers. If you’ve got any stories for expectant moms, or any tips to help everyone deal with morning sickness with twins and what worked for you, then please let us know in the comments section. Still have questions? Why not ask a question in our Facebook group? With my first child and I also had morning sickness morning, noon and night. I had to call in sick a couple of times because I felt like it was so unbearable. Unlike you, I was throwing up all day. All I could suggest is to drink no to morning sickness tea to ease your belly. It was the only remedy worked for my sickness.